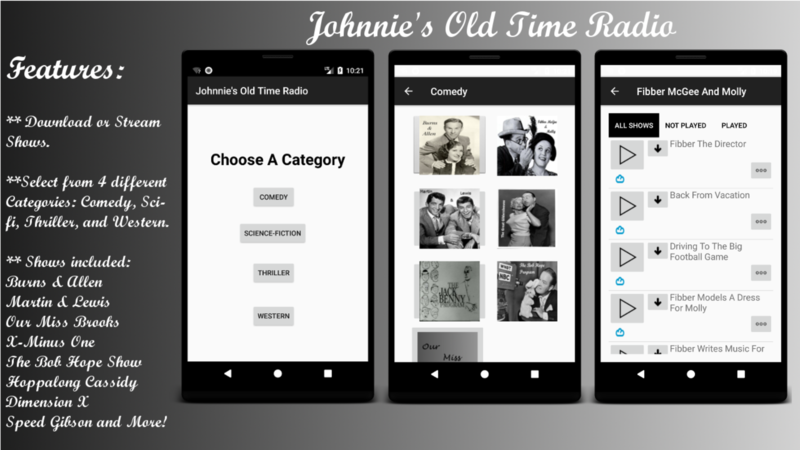 New pictures for Johnnie’s Old Time Radio as the updates are propagating. I’ve also in the process of putting up a new demo on youTube. I fixed a few problems with screen resolution and added our Miss Brooks. A lot of the other stuff I did was under the hood to streamline adding more shows as I go. Unfortunately, I was running out of space on the site where I upload the shows that I find, but I managed to find another home for the new ones. If you have any suggestions, please join the JOTR Forum I created and let me know.